I had a stange feeling while reading this one that it just wasn't right. 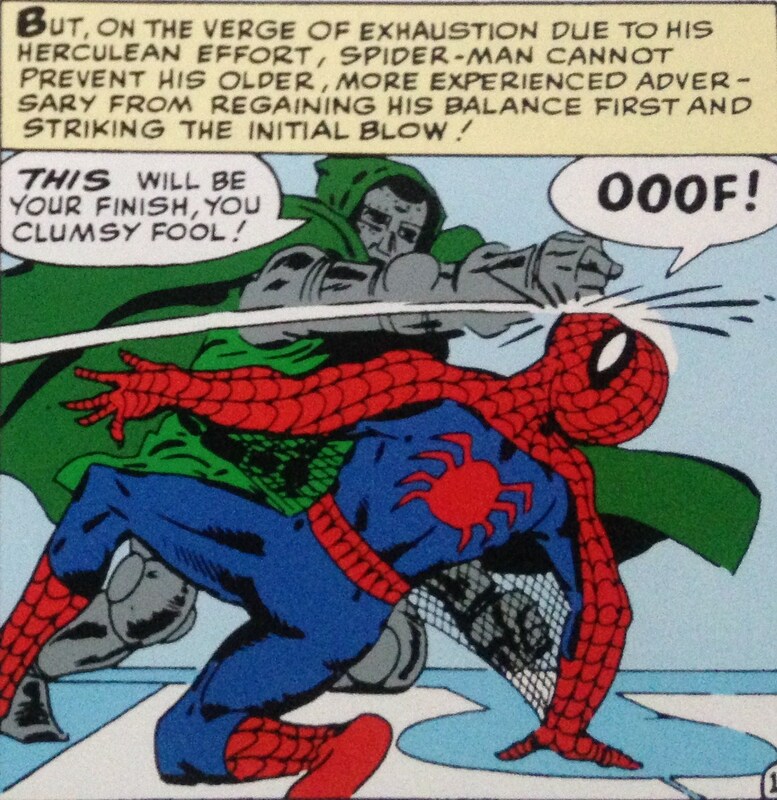 Spider-Man doesn't fight Doctor Doom. 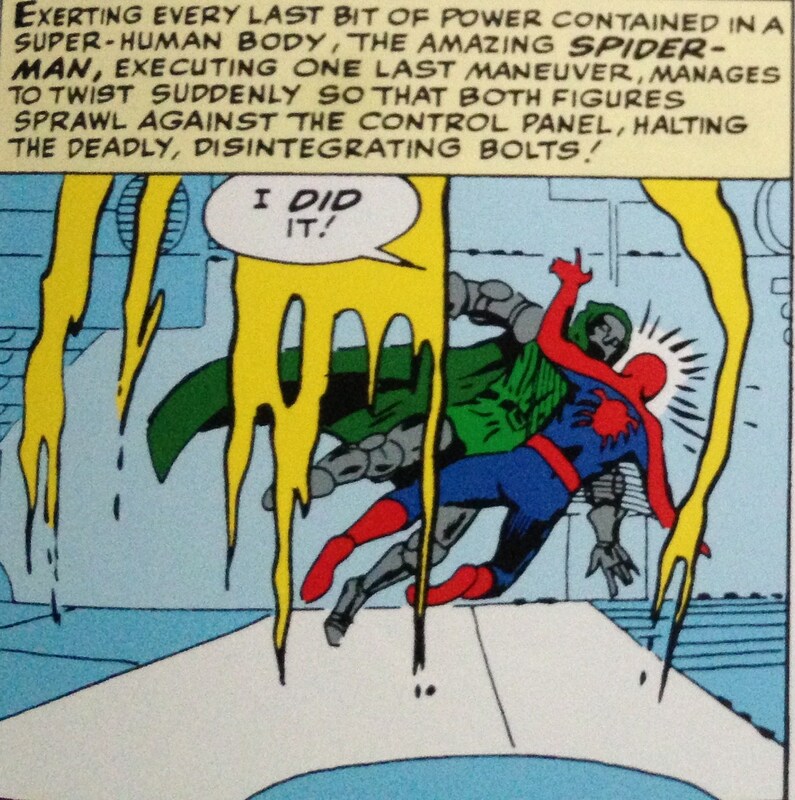 The Fantastic Four do that. It feels like Luke Skywalker being confronted with Daleks. 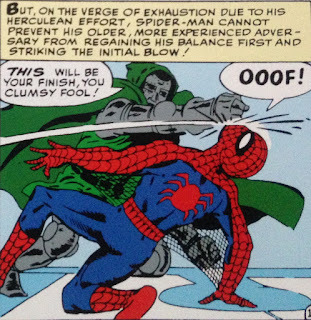 As a kid reading this in reprint form in the 1970s, I automatically processed it as "Spider-Man is in a fight that's a bit out of his league". 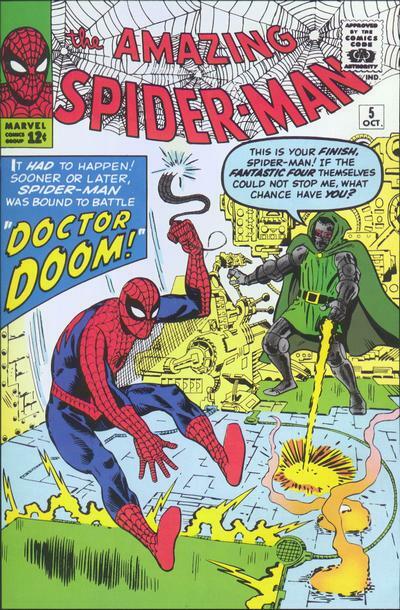 Some of that was because fifteen or twenty years of Marvel history had built Doom up as a major, major villain, but he was A-list almost from his first appearance. Even in 1963, it made sense that a guy who was roughly a match for the entire Fantastic Four should be able to take Spider-Man down without too much effort. 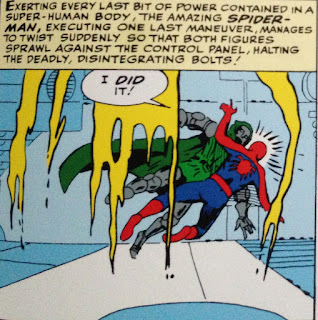 Back then, I interpreted the arrival of the Fantastic Four as a way to get both Spider-Man and the writer off the hook: without them, the fight was almost over, and it would inevitably have ended with Spider-Man in a jar. 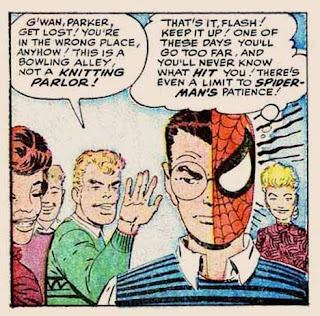 So perhaps what's happening here is, Ditko's drawing a fight between two combatants who are more or less evenly matched, and Stan Lee felt the need to add captions "clarifying" just how desperate Spider-Man's situation is. 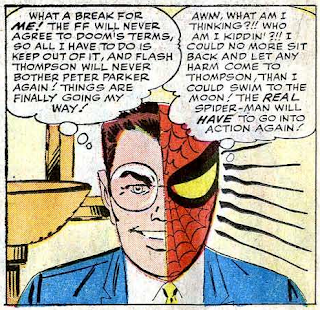 Can I immediately say "thank you very much for taking the trouble to write feedback on these essays".